– We’re hoping to replace yesterday’s concert with a new show on Sunday [June 6th]. That’s our focus at the moment. – We think [tomorrow’s concert in Kiel] is going ahead as planned, and that we won’t have to cancel any more concerts. But obviously we’ll have to monitor his condition. 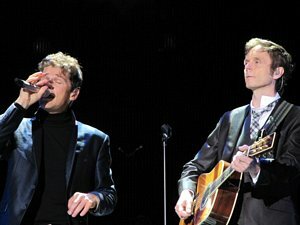 – We had some problems in South America, but a-ha haven’t cancelled a single concert since 1986. But like everyone else, Morten can get a virus infection. It’s impossible to have any guarantees against that. – The voice problems are probably due to the drafty conditions [in Mönchengladbach]. Morten’s vocal performances are so demanding that he becomes particularly vulnerable. – We’d prefer to go ahead as planned, but Morten is better now, so we’re hoping to reschedule the concert for Sunday and that we won’t have to cancel further shows. Tonight’s concert at the Hessentag event in Stadtallendorf has unfortunately been cancelled due to Morten’s voice problems. Morten went to see a doctor after last night’s concert in Trier, and again this morning, but at 11am today it was announced that it’s not possible for him to perform tonight. Hessentag is a kind of festival that is held between 28 May – 6 June, but it remains to be seen if it’s possible to re-schedule the concert to a later date. 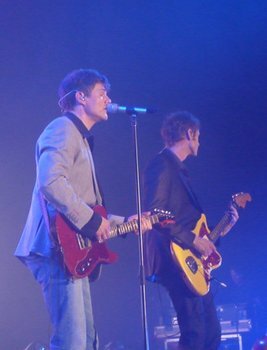 “Morten is well but can’t sing – we are confident that he will be back in shape for Kiel!“, a-ha.com has posted on Twitter tonight. 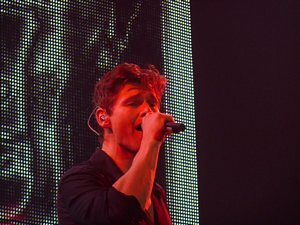 Morten had problems with his voice during last night’s indoor concert at Arena Trier. Apparently it was not a problem with his vocal chords, but rather an inflammation at the back of his throat that prevented him from singing at full power. By the end of the concert, his voice was almost completely gone, according to fans who were in the audience. However, “Early Morning” was the only song that was left out. 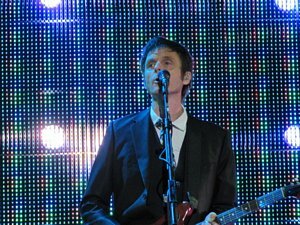 And it was still a really good show despite Morten’s voice issues, fans said afterwards. a-ha’s upcoming final song is called “Butterfly”. Brauer has previously mixed Lifelines and How Can I Sleep With Your Voice In My Head. He also mixed Magne’s solo album Past Perfect Future Tense and the songs “Whalebone” and “Rain On Your Parade” for Savoy. It is not yet known if “Butterfly” will be released as a single or included on a new “best of” album – or both. There is a 9-page article about a-ha in today’s paper edition of VG. The article was done in New York earlier this month and features several pictures taken by Janne Møller-Hansen. A great slideshow with more of Møller-Hansen’s pictures from New York, set to the tones of “Real Meaning”, is also available online at VG Nett. Magne: We could easily have continued with a-ha, it’s difficult to say stop when things are going as well as they do. But the question is: Would we continue to inspire each other? I think the answer is no. Morten: Magne is put together differently than me. Magne doesn’t live in a contemplative room. He just grabs the afterthought as he goes along, while he is saddling two horses that he rides at the same time. His work is his meditation. I’m completely different, I spend a lot of time reflecting on things. Paul: I’m spoilt in the way that I hear Morten’s voice when I’m writing songs. I would be interested in writing more songs for him, even if we’re not together as a-ha anymore. There is a German interview with Paul on the Südkurier website today. You are currently on your Farewell Tour. But why are you ending the band? – Well, 25 years is a long time for any band. Although we could have continued for another two – three years, of course. But at this point it felt right to try out new things. – In my case I really want to write songs for other bands, other singers. So I’ll start doing that, and then see what direction it takes. And I also still have my own band Savoy. Your last three concerts ever will be held in Oslo in December. They have been sold out for a long time. Is that a symbolic place to end it all? – Sort of – even though we originally had completely different plans. But it’s fitting. It all started in Norway. Which songs are you playing on your Farewell Tour? All of them? You are going to re-release your first album “Hunting High And Low”, among other things? – Yes, and with added material. We have tried to track down the original masters and the very first versions of our early songs. I like many of those better than the versions that ended up on the albums. And there are still a lot of songs that we have never recorded, because we didn’t have the time. Many of them are really good – they could have turned into great albums. Read the full interview with Paul in German here. 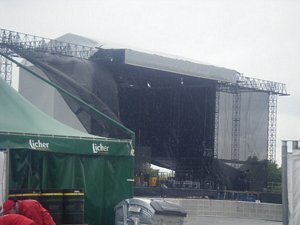 a-ha played the first of four German concerts in front of 8000 people outdoors at the Warsteiner HockeyPark in Mönchengladbach last night. They opened with “The Bandstand” and the rest of the setlist was similar to the recent concerts in USA and Canada. The new song that Paul mentioned in the RTL radio interview was nowhere to be heard, but there’s another chance tonight, as the band moves on to Trier to play indoors at the city’s sports arena. More pictures taken by Sandra can be seen here. There are also many pictures from the concert on the German forum here. 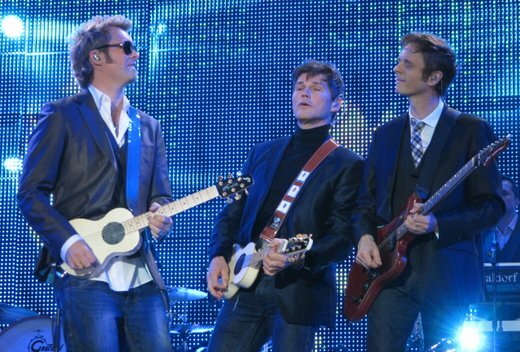 a-ha will play the first European concert of their Farewell Tour tonight in Mönchengladbach, Germany. In connection with the German concerts Paul has been interviewed by RTL Radio. An audio clip of the interview can be heard here. “We’re pretty excited about it. We’re gonna play songs from all the nine albums and there might even be a new song that hasn’t been released yet“, Paul says about what the audience can expect this weekend. Paul has been known to be a fan of the Norwegian G-Sharp guitars for some time now. 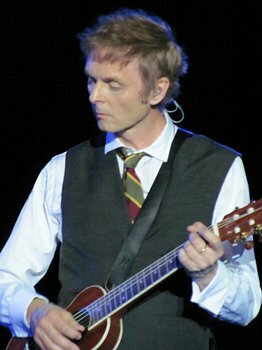 He’s using several models on the farewell tour, and you can see Magne and Morten also using them on “Move To Memphis” in this YouTube clip (and in Corina’s picture that I posted yesterday). 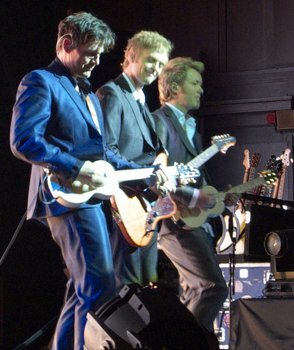 “a-ha’s PAUL WAAKTAAR SAVOY and MORTEN HARKET join the G# league! Paul has the whole range of G# guitars and accessories, and he is so pleased with the G# products that he uses a G# guitar on all guitar tracks on a-ha’s soon to be released latest song! Morten has one Natural Mahogany, and one Antique White G#. On the same topic, here’s some info about the Norwegian music shop Lydkilden getting Paul an endorsement deal with guitar pedal manufacturer T-Rex Engineering not too long ago. Paul’s current selection of T-Rex pedals include Mudhoney, Tremster, Bass Juice, Room-Mate, Squeezer and Comp-Nova. While in Toronto last week, a-ha were interviewed by Jian Ghomeshi on the music show Q on CBC Radio. Those of you outside the U.S. can pre-order the 2-disc deluxe editions from Amazon.co.uk if you scroll further down this page (and support a-ha-live.com with your purchase). And check out this amazing YouTube clip of “We’re Looking For The Whales” live in Los Angeles on May 16th (notice the guy dancing at the front!). The user Tourlaub also has many other high-quality clips from recent concerts. 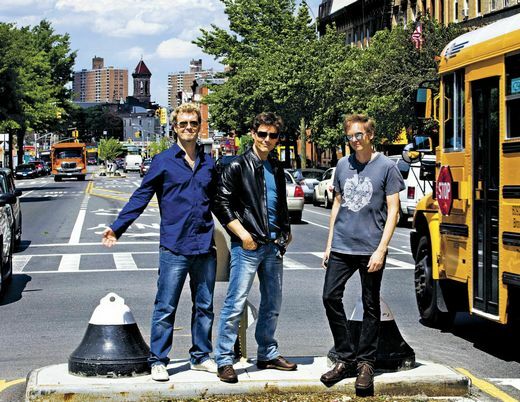 a-ha taking a break from rehearsals at Crown Heights in Brooklyn, May 4th.